PNL 4WDriving was established in October 1991 by Phillip and Ngarie (Nyrie) Butterfield. Camping and hiking enthusiasts from their youth, they often travelled down roads that ended with a ‘road closed’ sign and then had to traverse back through difficult terrain. After a number of these occurrences, they lashed out and bought a 4WD. Living in Wagga Wagga, they caught the train to Sydney and proceeded to drive their new 4WD back through the Blue Mountains over the Great Dividing Range, doing what you should never do in a brand new vehicle—go 4WDriving by yourself. When they got back home, they joined the Wagga Wagga 4WD club to learn the best way to use their vehicle. They learned lots and travelled many miles with the club. Before long the older members of the club were suggesting to new members that they get Phil or Nyrie to travel with them to help out over tricky patches—and thus the teaching and instruction began. On moving to Sydney a similar thing happened. They joined two 4WD Clubs and it was only a couple of months before the experienced members of these clubs were recommending to new members that Phil or Nyrie advise them on how to use their 4WDs and assist with tricky situations. Upon moving to Melbourne, Phil retired from the Army and set up PNL 4WDriving. Since then they have run ever-expanding courses with 100-150 students per year. It became a full time business with two permanent staff in mid-1997; a Registered Training Organization in April 2000; and Parks accredited and Victorian Tourist Association accredited in June 2002. BSZ Workplace Training commenced in April 2002. The company continues to go from strength to strength, currently employing two permanent staff, several office assistants, 10–15 trainers on-call and two trainee instructors. The goal of PNL 4WDriving is to teach SAFE, ENVIRONMENTALLY FRIENDLY 4WDriving to all. We are a company that excels in personal commitment and training in the field of 4WDriving. PNL4WDriving was established by Ngarie and Phillip Butterfield in 1991 as a family business in Melbourne, Australia. The company provides training courses and consultation, for people who are interested in 4WDriving, in Melbourne and all other states in Australia. The company is a Registered Training Organisation accredited by the Australian National Training Authority delivering Nationally Accredited 4WDriver training. The nature of PNL4WDriving instruction ensures each participant gets appropriate individual training. The instruction used gives the participant the impression of a holiday atmosphere, whilst we actually use the most advanced form of teaching (generative learning) which is fun. PNL 4WDriving is a Registered Training Organisation (RTO #20810).  We are registered by ASQA (Australian Skills and Quality Authority) who is based in Canberra and because PNL 4WDriving teaches interstate we need to be Federally registered. The subjects we teach are designed by industry and educational input and come under the Australian Quality Training Framework (AQTF) in the form of training packages. These packages are broken down into units of competency (subjects) and PNL 4WDriving specialises in teaching all the 4WDrive units/subjects from each package. As a private provider registered by ASQA we offer Nationally Recognised Qualifications the same as any TAFE or University. As a Licensed Tour Operator (LTO #1069) Parks Victoria and DELWP ensure you that PNL 4WDriving has the appropriate permits, skills, insurance and risk management procedures to use public land for your training, protecting our natural assets from impact and overuse. Parks Victoria administers National and State parks, DELWP administer State Forests and other Crown Land. The Program addresses many of the issues that are covered in the development of a business plan but focuses on those key elements that are part of the day to day function of any tourism operation. This is achieved by the development of professional management systems that will lead to reliability, consistency and predictability in the operation of the business which in turn results in improved customer service and satisfaction. In turn, Accreditation will provide clients and industry colleagues with an assurance that participating businesses are committed to professionalism both in business operations and delivery of service. Why Choose Accredited Operators? Leading Australian tourism operators display the accreditation tick. They’ve met specific criteria ensuring they are committed to exceeding your expectations with great customer service and the highest standards of business practice. Accreditation will provide clients and industry colleagues with an assurance that participating businesses are committed to professionalism both in business operations and delivery of service. The Victoria Tourism Industry Council (VTIC) is the peak policy council for the Victorian tourism industry, which represents key industry associations, operators and government agencies, providing one united industry voice.